Check out this diverse and creative list of the best books for 5 year olds to find options to suit every taste. 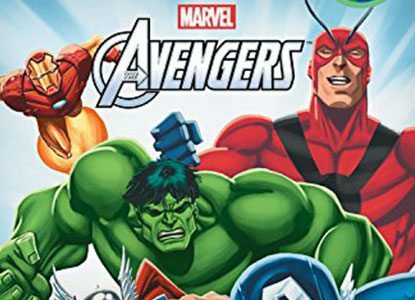 From Super Heroes to Princesses and from classic characters to new creations, little readers will love these selections. Simple stories, repetitive text, and rhyming words will encourage early reading success. Re-telling stories is a fun way to learn and kids love hearing their favorite ones over and over again. Check out this blog for a simple tutorial on how to create your own felt board. Use templates online to create characters for any story that you like. Check out this amazingly simple activity to keep your toddler busy. Just use dry erase markers on your sliding glass door to write the alphabet, then give your little one a paper towel to go on a hunt for the letter you call out. Your child will love it. You can bring “Chicka Chicka Boom Boom” to life with this amazing tutorial on how to create your own alphabet tree. Gather a few simple materials and you are ready to create the palm tree featured in the story. Add magnetic letters and let the games begin! When you’re little, everything is exciting and new. Developing skills to read and write is a primary step toward independence. Choose from our list of learning toys for 5 year olds to help with word recognition, reading, and developing language skills. Active children can be difficult to keep entertained as they run from toy to toy; we’ve listed our favorite toys for 5 year old boys that will actually keep them fit and active, and more importantly keep their attention! When you want to buy toys for 5 year olds that are both fun but also challenging and educational, then this handy list will give you varied choices that stretch across everyone’s budget and taste in games to play with their child.